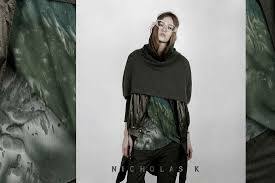 The Nicholas K sample sale in SoHo has a lot of contemporary merchandise for up to 80% off. From the items we were able to find, there were many different sizes, quite a few clothing options that included dresses, separates and accessories. The quality of the items is good – but the prices aren’t too cheap either. Many items cost in the $100-$250 range. The staff was really sweet. They offered our VIP users 25% off online and off current merchandise as well. When you hit up the sale, remember to mention ShopDrop for your additional discount. Prices below.